Is your Litter Robot Open Air smelly? Maybe you are interested in getting the Litter Robot Open Air and you wonder if this machine contains odors properly. Or maybe you own this unit and you notice it’s getting smelly. Either way, this article will explain why this happens and how to take care of it. Personally, I own a Litter Robot III for 30 months now and I have never had this type of problem. I have this machine in my laundry room and every time I go there I smell NOTHING. Only when it’s time to open the waste drawer I smell the waste, but not so bad, it’s tolerable. However, not long ago I read a question in the forum of my Litter Robot 3 review if the unit is efficient in containing odors and I had to answer yes to that question because that’s my experience. 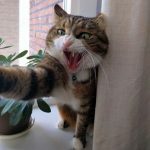 But I have read different experiences with a few cat owners (not many) that complain about this issue, so I need to address this question in order to help. 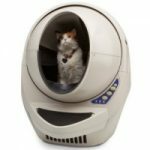 I created this guide with the help of other cat owners that have dealt with odor problems with their Litter Robot’s and also with the help of the Manufacturer that recommends certain basic actions. I must say the the percentage of cat owners experiencing a smelly Litter Robot is small and it’s usually due to maintenance factors. There are basically 5 reasons why your Litter Robot 3 self cleaning litter box smells: Lack of frequency in cleaning the unit, cleaning only the globe, not changing the carbon filter often, the base seals warned out, wrong diet or possible medical condition with your cat. 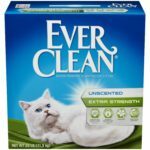 I didn’t want to mention the type of cat litter on this list, because I assume you have tried already good quality ones. Remember, the stinkier your cat creates waste, the better the cat litter needs to be. To help you with that, I wrote an article with demonstrative videos after a year of experimenting with the best cat litters for my Litter Robot where I chose my favorite. The frequency of cleaning the Litter Robot needs to be according to its use. If you have one cat you need to clean the unit every month. If you have two or three cats you need to wash the unit every 2 weeks. In case you have a male cat that sprays high you need to clean the machine every 2 weeks as well. If you don’t wash the Litter Robot often, the bacteria causing odors gets impregnated in the litter box, making it very hard to get rid of that smell after. Believe it or not, some cat owners think that by only washing the Globe the unit will stay odor free. This is not true, the waste drawer even though is lined at all times, still needs to be properly washed every month or every two weeks with two or three cats. I personally have my method to clean the Globe and the waste drawer. I must mention that I do this every month because I have only one cat using the litter box. Submerse the waste drawer in the bathtub full of water and with a few drops of chlorine. I made two videos showing how I wash the Globe, the waste drawer and the ramp (in case you have the ramp, which is one of the Litter Robot III accessories). The base seals are a dark-gray brush-type stripes that go on the base of the unit, where the Globe sits. Their function is sealing the odor between the Globe bottom and the waste drawer. If the base seals are too flat and have lost the sealing properties, the odors may start leaking to the outside. Check the sealing strips after a year or so. If none of these measurements work and your Litter Robot still stinks you may want to start paying attention to your cat digestion. It’s not normal for a cat to do excessively smelly waste. You need to change the diet of your cat, switching to a more healthy cat food, adding also wet food to its diet. Additionally, you need to increase your cat water consumption because lack of water creates stronger urine. If your cat doesn’t like to drink water very much you can check cat water fountains that entice cats to drink more. If after changing your cat diet your kitty still creates smelly waste, take it to the Vet to discard digestive or urinary issues. You can place small bags of natural Zeolite on the waste drawer, under the liner. Get lavender scented 13 gal kitchen bags to line the waste drawer. The bags won’t absorb the smell but the lavender fragrance will be kept inside the waste drawer, reducing bad odors. You can also use baking soda to absorb bad odor’s moisture. 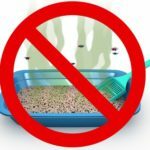 I hope this article helped if you are having a smelly Litter Robot. This way, you can enjoy this great machine completely. My name is Michael. I have a litter robot 3 and use Dr. Elsey’s premium cat litter. When my cat uses the bathroom the litter will leave streaks on the inside wall. Do you have any ways to prevent this? I’ve only had the litter robot for a few days so I don’t think it’s dirty. What brand of litter do you use or recommend? Hello Michael, I wrote an article about the best litter to use with the Litter Robot based on my own experience using several different brands. You can check it here.